Spicy Pimento Cheese Pizza. If you like spicy, you’ll like this pizza! Homemade jalapeno pimento cheese and extra jalapeno + hot sauce toppings make this a spicy food lovers dream. So while I never actually ate the pimento cheese pizza at Brixx, they were my inspiration to make it. And make it spicy! The restaurant version includes crumbled bacon and red peppers though I just stuck with the spinach, added tomato, hot sauce and extra jalapeno. If you’re not a spicy-food freak like me, you might want to choose only one between the hot sauce and jalapeno, especially if you are using the homemade skinny pimento cheese version that already includes jalapeno. Or remove the seeds of the pepper to make it more mild. 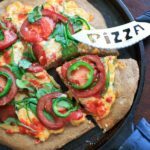 But you did click on the post for SPICY pimento cheese pizza, so I say go all out! Maybe just have some milk nearby. Also, if you like that pizza cutter in the first picture you can get a similar one here. Spicy Pimento Cheese Pizza. 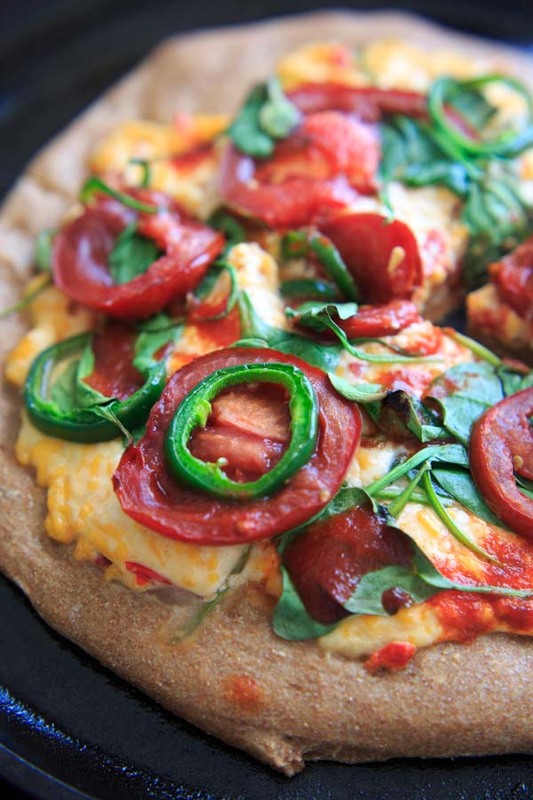 If you like spicy, you'll like this pizza! Homemade jalapeno pimento cheese and extra jalapeno toppings make this a spicy food lovers dream. 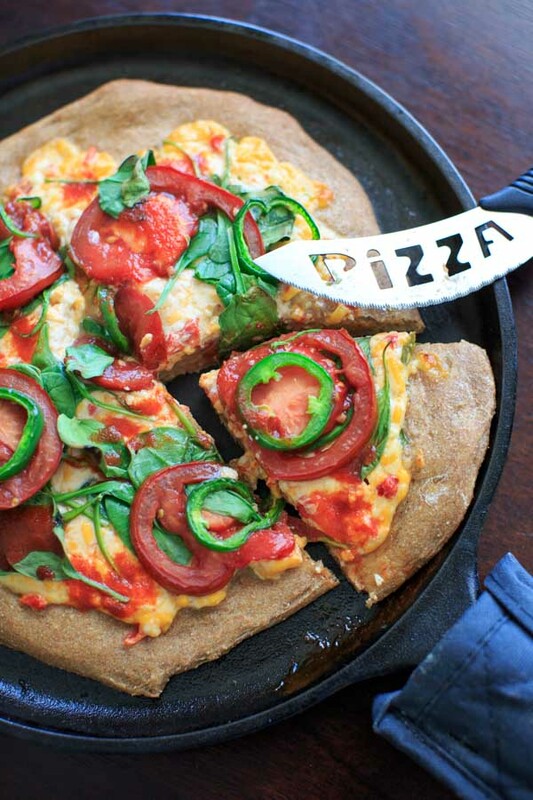 In a cast iron pan, roll out pizza dough. Bake for 12-14 minutes or until crust is browned. Welcome to Yum Goggle! We are following you on all your social media platforms and hope you will follow us back. We will try to tag you when we promote your posts. Kelli at YG! Thanks so much Jess, I hope you like it! YUM!!! I love pimento cheese! I will definitely be trying this out!